It sounds like the best thing the new Nintendo Switch has going for it, at least at launch, is a new Legend of Zelda game. That makes it a hard sell, especially when this custom portable Super Nintendo already has a massive library of classic 16-bit games—most of which are probably collecting dust in your parents’ basement. 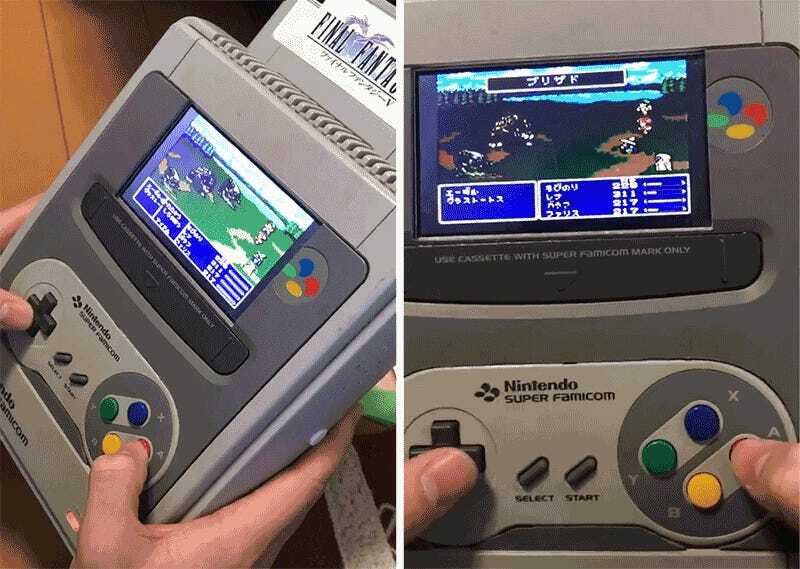 This fantastic custom creation is the work of a friend of Twitter user @huxarufaxara who converted an actual Super Famicom console (the Japanese predecessor of the Super Nintendo) into a portable gaming monstrosity. The cartridge slot was moved to the back of the Famicom so that the LCD display embedded on top would still be visible. 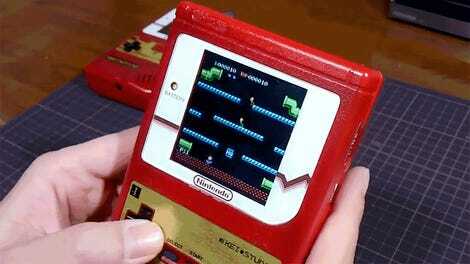 And instead of gutting a controller and integrating the electronics into the housing so it looked more like a Game Boy, the hacker behind this portable console simply cut a hole and plopped a Famicom controller right into his creation. It’s not pretty, it looks heavy, and the battery life is probably atrocious, but at least this thing plays Super Mario World right out of the box. Sold!